NL Petrol card allows NL managers receive PVs for petrol, diesel and gas at Gazpromneft gas stations. The card needs activation. 1000 rubles, that you pay for the card are directly transferred to your card balance, which you can use to pay for petrol. The card will be delivered within 2 weeks. You will see the exact date when you order the card. The card comes in the envelope, where you will find the directions for use and the activation code. Activate the card on nlstar.bnzvz.ru, fill the application, specify your ID. Attention! You will not receive PVs, unless you fill the activate your card. 1000 rubles, that you pay for the card are automatically transferred to your account, you can use it right away to pay for gas. The card is accepted only at Gaspromneft gas stations. 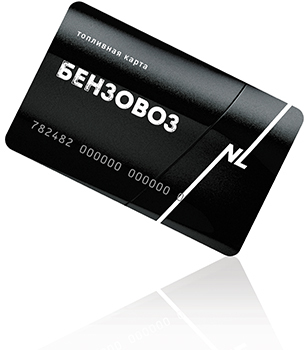 The card can be refilled on nlstar.bnzvz.ru (through a bank card transfer). Minimal amount is 3000 rubles. One you pay for petrol; the PVs will be transferred to you accordingly. The PVs are transferred to your account within 48 hours. The amount of cards per one ID is unlimited. You can’t use NL Petrol card and Gazprom Loyalty Program card at the same time. If the contract is terminated, all the cards, bought with this ID will be blocked. The card works only in Russia. Managers from other countries can receive the card and use it in Russia. Simply fill up your tank and increase your Personal Volume. Pay for your petrol at Gazpromneft gas stations, using NL petrol card and get PVs.